Thhheeennn Ray-J was up way too early, with entirely too much energy thinking he was Tupac lol But yeah, we dont believe you over here at ADEEN lol or anywhere in NYC to be honest. Puuuurrrreeee comedy! Oh man. Little Red Riding Hood. The Money Team. 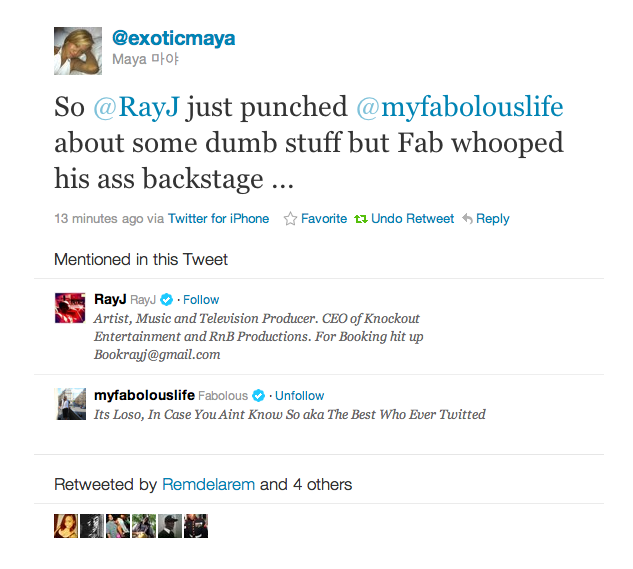 He handled it calmly and with jokes, where as Ray J seemed genuinly upset and mad and all that. So.... Yeah, looks like Fabolous is the truth teller here. Anyway. Hilarious none the less!